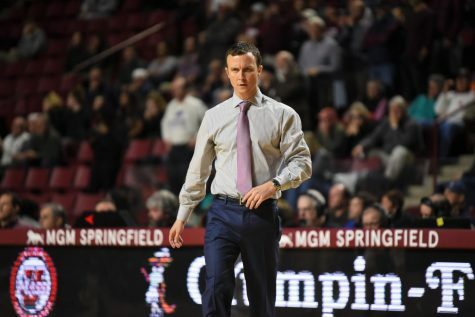 For the Massachusetts men’s basketball team, Atlantic 10 conference play sits just two short days away, but before the Minutemen can prepare for St. Bonaventure, they had to make a trip down South to take on Georgia State. 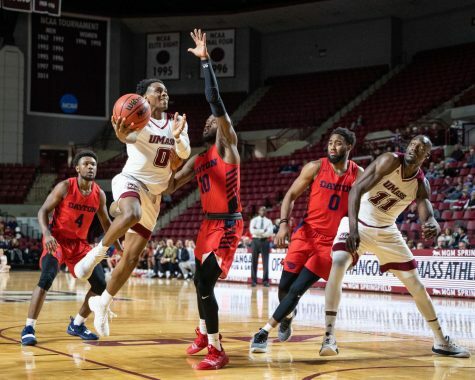 Down 17-10 halfway through the first half, it looked like UMass (10-3) would stumble out of its last non-conference game of the season with a loss, but from there the Minutemen would go on a 18-point run to take a 28-17 lead and take control of the game. 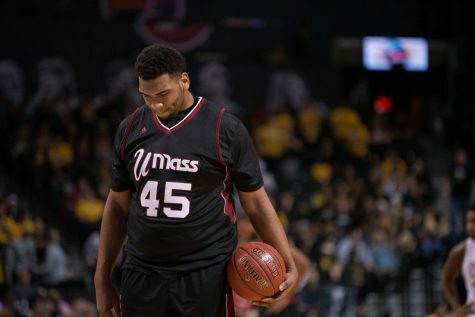 UMass would never look back as they went on to top the Panthers (7-5) 74-65 at GSU Sports Arena. The Minutemen would not relinquish the lead after that run with their lead swelling up to 14 at its highest midway through the second half. 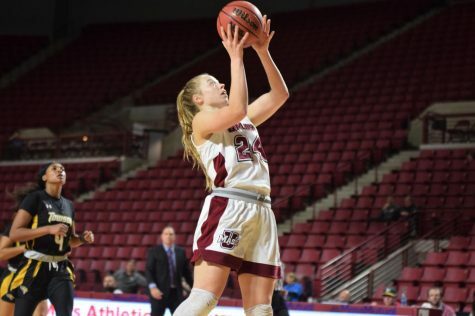 UMass was paced by a balanced scoring attack with five different Minutemen scoring in double figures. 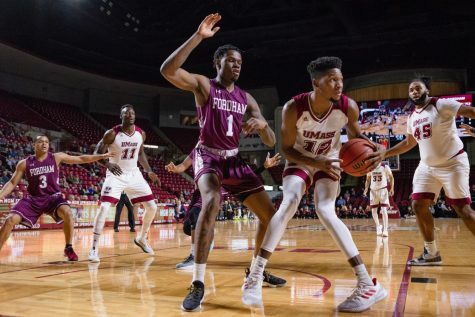 Freshman point guard DeJon Jarreau continues to impress after coming back from injury as he led the way for UMass with 13 points. Jarreau was followed by Luwane Pipkins, Donte Clark and Rashaan Holloway, who all chipped in 12 points, along with C.J. Anderson, who added 10. For GSU, senior forward Jeremy Hollowell had a game-high 16 points, along with a pair of blocks and three steals. The Indiana transfer led the team in scoring last season and he continues to lead them offensively in 2016-17 as he was averaging a team-high 14.2 points coming into Wednesday’s game. Sophomore guard Malik Benlevi added 13 points for the Panthers. 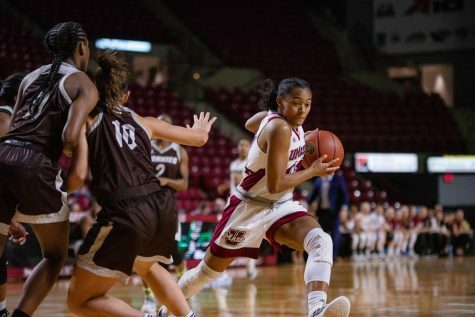 Pipkins has been the defensive leader for the Minutemen throughout non-conference play, coming into the day fourth in the nation with 3.3 steals per game. 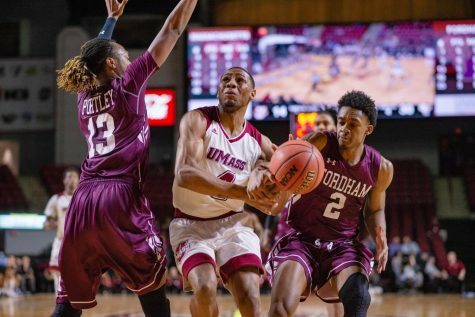 Wednesday afternoon it was a trio of other UMass players that paced the Minutemen on the defensive end of the floor. 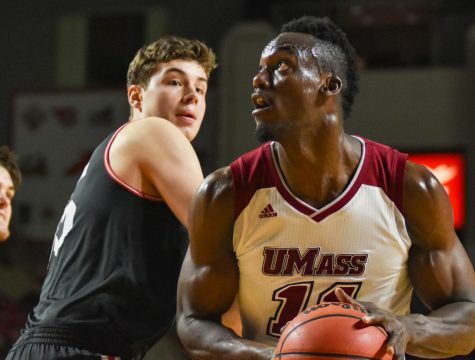 Anderson led UMass with five steals, followed by Jarreau (3) and forward Seth Berger (2). Holloway was also strong on defense with a season-high three blocks. 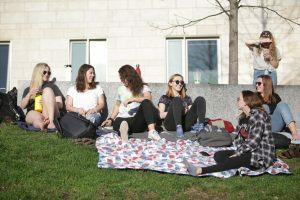 The win pushes the Minutemen’s win streak to four games. 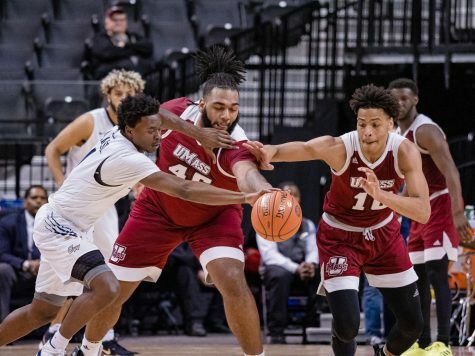 With non-conference play now in the rear-view mirror, UMass now sets its sights on A-10 play and Friday’s matchup with the Bonnies (8-4). 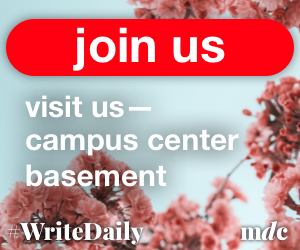 St. Bonaventure will have had an eight-day layoff between games when they arrive in Amherst to take on the Minutemen. 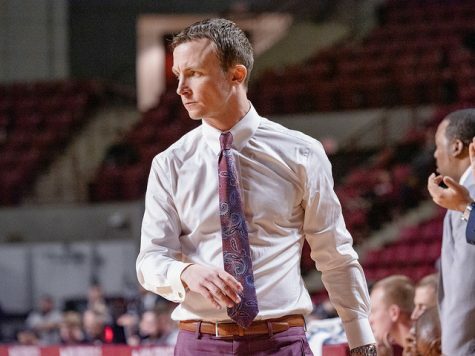 The Bonnies come in with the fifth best non-conference record in the A-10 with Rhode Island, while UMass is tied for the best record in the conference with George Mason and Virginia Commonwealth. Tipoff is set for 4 p.m. at Mullins Center.